An inspiring portrayal of Australia’s central desert environments that effortlessly blends the plants, animals and people of the arid regions within one, extraordinary tourism and conservation facility. This major tourist attraction is as distinctive as the Australian desert itself - a truly unique experience that continues to captivate and educate travelers from every corner of the globe. There’s much more to deserts than meets the eye and visitors to the Park are astonished by the life and beauty they discover on their journey. Things get a bit wild around here at night! 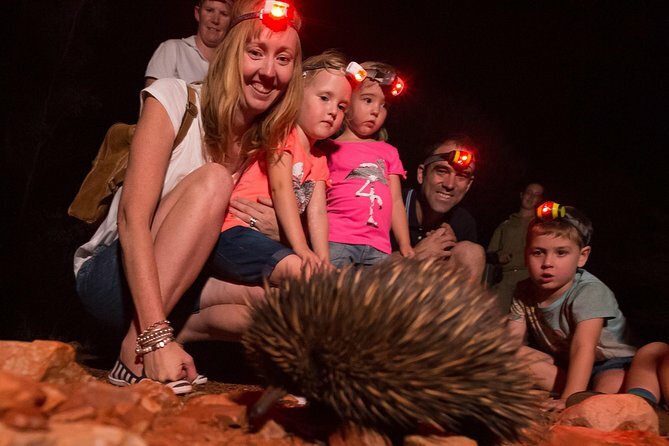 Meet your expert guide in the Alice Springs Desert Park Courtyard and receive your own specialized head torch before starting the Nocturnal Tour with your group. Your guide will lead you to the Mulga Walk, a large predator-proof enclosure located in the foothills of the MacDonnell Ranges. Join your guide in small groups as you walk through a rich desert habitat full of life. Stopping to spotlight endangered animals of Central Australia showcasing their natural behaviors. Get up close to animals including bilby, echidna and mala. Finish the evening with light refreshments including coffee and cake with our expert team under the stars.